Ted Rice is the co-owner, president and brewmaster of Marble Brewery in Albuquerque, NM. 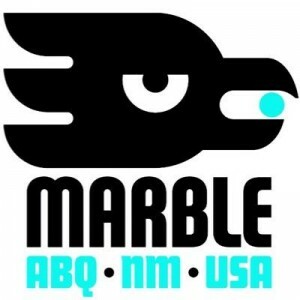 Marble was founded in 2008 in the heart of downtown Albuquerque. While Marble brews craft beer classics, they also relentlessly push boundaries and raise expectations. In 2014, they were named the GABF’s small brewery of the year. Entering into new markets and not fully vetting who your distribution partner is going to be can lead to some sleepless nights down the road. Ted suggests talking with buyers, talking with those in the market using the distributors you are looking at and even having your contracts fully vetted by a brewery consultant. With growth comes the ability to hire people and watch them grow. Most folks on the production side of the brewery started with Marble at entry level positions. As these employees grow in their skill and knowledge, one of the most gratifying things for Ted is to see them walk across the stage at an event to receive an award for a beer they created. Whatever you are going to do in life, be truly passionate about it………. 028: Aaron Morse – Dark Horse Brewing Co. 030: Sumit Vohra – Lonerider Brewing Co.